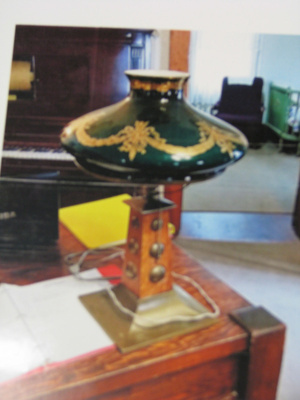 Desk lamp with brass square bottom, Tan/Brown square stand and green glass lamp shade. three round brass balls ascending from big to small. Light is turned on by a pull chain. Lamp shade has gold decorations accenting the lamp shade.